The storm developed southeast of Nova Scotia, Canada on the 19th March 1928 and moved east-northeast towards the UK. 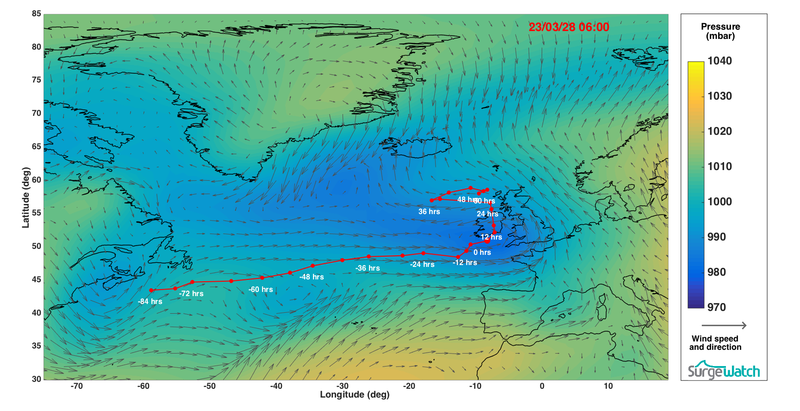 On the morning of 23rd March the storm was centred south of Ireland, with a central pressure of less than 980 mbar. The storm moved northwards across Ireland during the 23rd March and anticlockwise away from northwest Scotland on the 24th March, where it finally decayed northwest of Scotland on the 25th. Strong southwesterly winds were generated along the south and south west coasts of the UK on the 23rd March, with gales recorded in the south west of England Met Office, 1928. 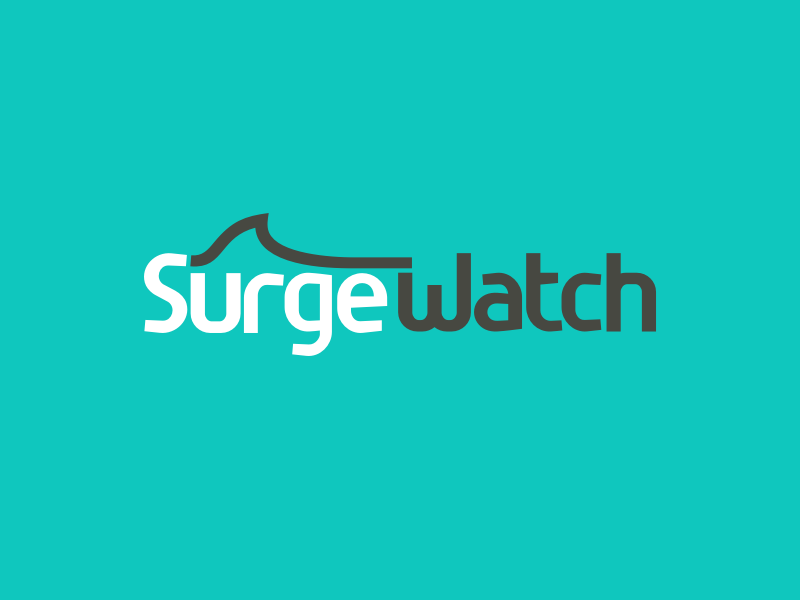 The storm generated a skew surge of 0.38 m at Newlyn, the only tide gauge in place during this period. On the morning of the 23rd March this resulted in a water level of a 1 in 14 year return period. According to Zong & Tooley, 2003, flooding occurred at Hull and Berwick on the 22nd March but as far as we are aware, no other incidents of coastal flooding or storm damage was reported for this event. If you know of any coastal flooding during this event, and sources of information that describe it, please let us know. Met Office (1928). Monthly Weather Report of the Meteorological Office. Monthly Weather Report. 45 (3). Available here.